The Jackson Hole speech by Fed Chair Janet Yellen and the subsequent nonfarm payrolls data failed to ignite the prospects of a rate hike in September 2016. The market now forecasts only a 21% probability of a rate hike this month. The probability of a rate hike in December 2016 stands at just above 50%. The chances of a rate hike in December 2016 are also bleak. Nonetheless, the Fed speakers will continue to jawbone the dollar, the way they have been doing for the whole year. A number of central banks are competing with each other to unleash their monetary easing plan, as if that is the only solution to the economic problems plaguing the world. Even the failure of the past seven years has not deterred them from printing more money from thin air. Vermeulen discusses $180 billion of bond buying; silver being on the cusp of a massive rally; traders finally recognizing the importance of silver; and what the silver technicals suggest. Silver had a massive run from the lows of $15.83 to $21.22. No markets rise vertically; a 50% Fibonacci correction is a healthy and accepted norm. Silver, too, has corrected 50% of the recent rise. The weaker hands are out of silver, whereas the stronger hands have bought the white metal at lower levels. Silver is currently trading above both the 20-day and the 50-day exponential moving average. This is a sign that it has resumed its uptrend, and is set to rally higher. 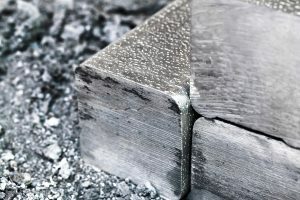 Once silver crosses above the highs of $21 per ounce, it should reach its target of $25 per ounce. Silver Returning to Monetary System?